Looking for some running shows to make your New Years resolutions come true? 6PM.com has a great clearance sale on running shoes for men and women! 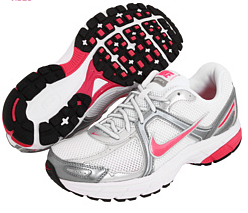 You can find running shoes up to 70% off. This pair of Nike running shoes is 71% off at $21.99 – down from $75! Better yet, shipping is completely FREE! Go through Shopathome.com to get 4% cash back. Check out even more Clearance Deals.